Whether your website is for promotion, sales or information, it is imperative that on first viewing it communicates the right message - about your brand, services, products, location. 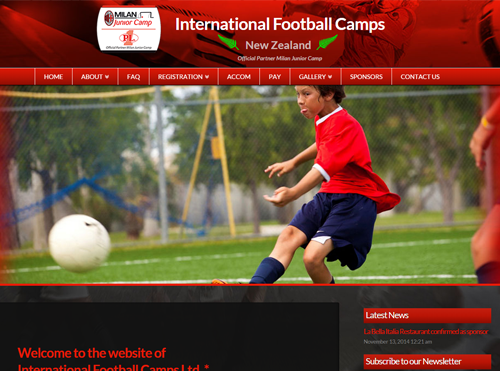 We create your website with that in mind. Hosting plans and omain regsitrations tailored to meet the needs of users. Keeping costs within easy reach while providing the platforms for fast and reliable internet access wherever there's a connection. Millions of internet users go online every day, searching for product information and the opportunity to buy. Confidence and trust is growing, resulting in the rapid increase in Ecommerce. Add full value to your website, utlising Search Engine Optimisation, e-newsletters, targeted marketing and/or Adwords campaigns. All key aspects of maximising the return on your digital investment. 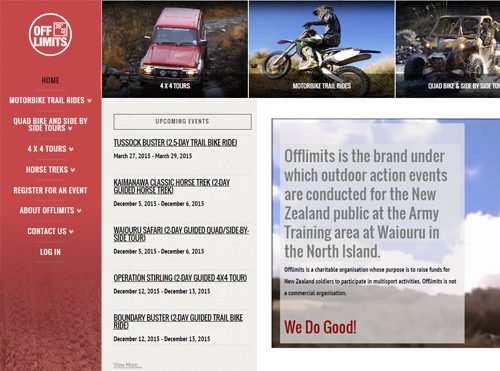 Offlimits is the brand under which outdoor action events are conducted for the New Zealand public at the Army Training area at Waiouru in the North Island. There really is only one purpose in life and that is to be happy and enjoy everything you do. 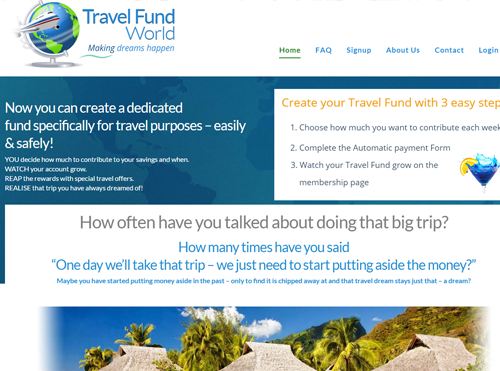 Travel is a joy which many people would love to achieve on a regular basis. 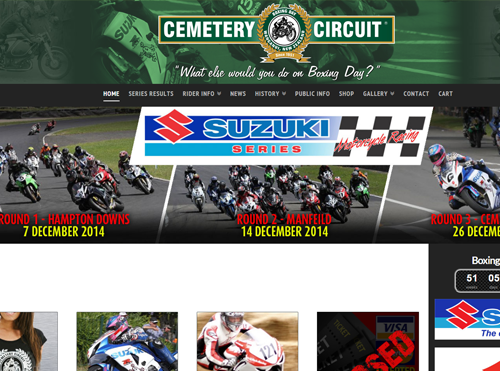 Cemetery Circuit is a temporary motorcycle street racetrack in downtown Wanganui, New Zealand. It was named because the track circles the old town cemetery. If your websites is not responsive, you may be losing business! Webquest Ltd is a fully New Zealand owned private company located at 47 Taupo Quay, in the central business district of Wanganui. Our core business is website design and creation, while we also provide Domain Name registration and renewals plus the Hosting of your website.